As you might expect, this tidbit wound up making news worldwide, with the likes of ABC News and CNN devoting entire segments to it. Leaving businessmen aside for the moment, the statistic also made plain a truth toymakers have known for some time now—that stuffed animals aren't just for kids and never really have been. This fact may also help explain the latest news from the people at Build-A-Bear Workshop. The 19 year-old retailer of customizable plush bears has 400 brick-and-mortar stores around the world, but over the past few months, it's been opening stores aboard cruise ships, where the average passenger is 50 years old. 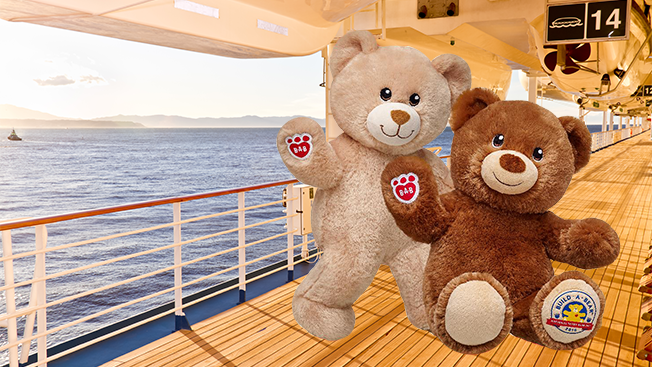 As part of a new partnership with Carnival, Build-A-Bear has eight locations plying the seas and expects to have its bears aboard 25 vessels by the summer of 2017. But why ships and why now? The biggest reason is that shopping malls are no longer the gathering places they were in the 1980s and '90s. While high-end malls are still doing a vigorous business, older and midtier malls have struggled due to overbuilding and anchor tenants closing stores. According to data from CoStar Group, nearly 15 percent of malls now have vacancy rates between 10 and 40 percent. Noted retail analyst Jan Kniffen predicted earlier this year that one mall out of three is damned. 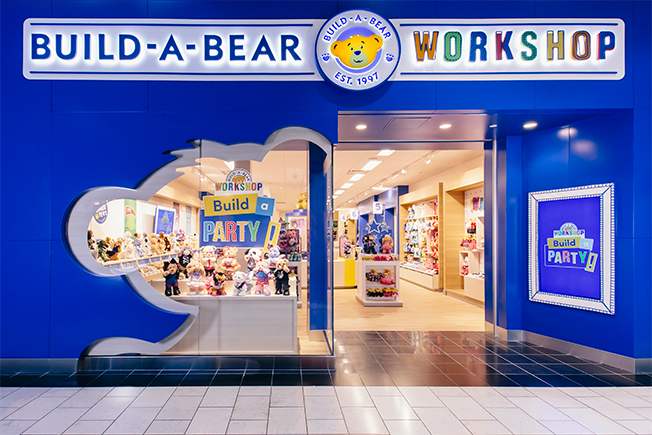 And while Build-A-Bear, an experiential concept that gives customers the chance to watch the bears being stuffed right in the store and get theirs customized with various accessories, has invested in updating the look of its stores in recent years, there are clearly opportunities beckoning in nontraditional locations. "We have a large brick-and-mortar presence, but retail has changed," said CMO Gina Collins. "So we looked across the landscape to see who has a similar brand message and loyal fan base who we could partner with." "This is a captive audience, and they're trying to capture the moment," Collins explained. "We created a Carnival-specific bear if they want to memorialize the cruise [by using bear accessories] with a nautical theme like star fish or dolphins." Concurrently, Build-A-Bear is also expanding within AMC theaters, using a similar mobile unit it developed for Carnival (called a "Cruiser") and selling bear versions of characters from the movies it's showing. Build-A-Bear's product offering includes Sonic the Hedgehog, characters from Ghostbusters, and Star Wars and Dreamworks' Trolls characters. These experiments in customization represent some hard lessons learned by the retailer over the years, both in terms of location choice and the characters being sold, according to Richard Gottlieb, founder and CEO of consulting firm Global Toy Experts. "Build-A-Bear had rapid growth and a lot of success, but a lot of things affected them," Gottlieb said. "The American romance with the mall kind of soured. Also, America became increasingly brand-centric. Children no longer wanted the lovable little bear and were instead looking for Dora the Explorer and Sponge Bob plush toys. So they had to reorient." Technically, the AMC and Carnival partnerships are still being tested for the holiday season, but Collins says she's "virtually 100 percent convinced" that the cobranded locations are good ones and that there will be more of them. "I've always been a big believer that you want to be where your customer is, to be where people go," Gottlieb said. "I applaud Build-A-Bear. These are very good ideas."